She originally went shopping for just one pair of jeans, but she got carried away and purchased ten new outfits. He started exercising to lose weight, but he got carried away, and he injured himself. It can be challenging to find your own mistakes in an email or an essay for a test like the TOEFL or TOEIC. 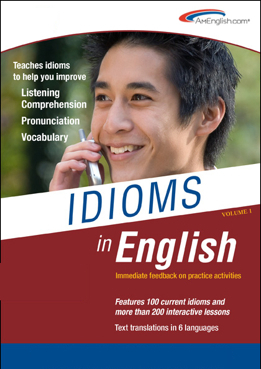 The mistake below is covered in Writing in English – Intermediate+, an online, interactive program that helps you write clear, concise, and correct English. 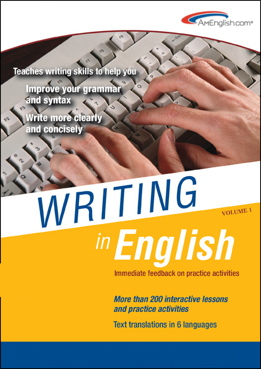 Writing in English – Intermediate+ has interactive, scored practices with immediate feedback to help you correct common mistakes. I will be in __ U.S. next week on a business trip. I will be in the U.S. next week on a business trip. That gaming company took the wraps off their latest product today. At the press conference, the city will take the wraps off the design for the new concert hall. Picture an excited child taking the wrapping paper off of a gift to reveal it. She said no without thinking; it was a knee-jerk reaction. We want to avoid a knee-jerk reaction here, so we’ll ask them to think it over and get back to us later. Picture what happens when a doctor taps your knee during a physical exam. The tap causes your leg to react immediately with a small kick. It is an automatic reflex. When her manager suddenly changed her job responsibilities, she took it in stride. He can adjust quickly. Whenever there’s a software update, he takes it in stride. Picture yourself striding or walking along and not hesitating or stopping when there’s an obstacle in your path.